As A high school student I was always interested in natural health. I had read many different nutrition books and worked out daily. Over time I became inspired about the possibilities of chiropractic. I applied to RMIT in Melbourne and hence started my chiropractic career. 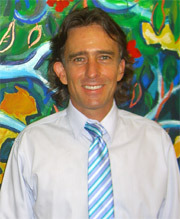 I graduated in 1987 and with Dr Power’s help started my own practice in Toowong, Brisbane. My focus has always been on family wellness care, especially children. Today 23 years later I love what I do and like Dr Power we provide high quality chiropractic care for everyone from pre-birth to the elderly. In our practice a lot of people start care because they have a specific problem they want help with, so our first concern is to deal with their immediate needs. This type of care is called initial intensive care. For the little baby with colic or reflux or just unsettled, it can be as quick as a few adjustments, for someone who has had a condition developing in their spine and nervous system for many years it can take several months to stabilize. Once we get symptomatic relief many people continue on with reconstructive care, which is a bit like doing orthodontics on your teeth. It takes time to restore your spine and nervous system to optimal function. During this phase of care visits are not as frequent, however they are regular to continue the healing process. After reconstructive care many people maintain regular adjustments to keep the spine and nervous system in optimal shape to help develop and maintain optimal health and well being. This type of care is called wellness care. This is the type of care my family and I have enjoyed for over 30 years, it’s the type of care our daughter Jordenne was brought up on and it’s the type of care that a large portion of my practice enjoy. For myself, I have only had 2 sick days off work in 23 years, Jordenne has never been vaccinated and only had half a course of antibiotics in her 18 years. I have families that started care with me years ago who now have their own families that get care. They repeatedly tell me how they get sick less often than other kids, how they get better quicker, how they do better at school. Adults tell me how they have more energy, how they function better and enjoy life more with regular chiropractic care. Chiropractic works! For my family and much of my practice chiropractic is part of our healthy lifestyle philosophy, which also includes eating healthy nutritious food, maintaining regular exercise, and keeping a positive well balanced mental/emotional outlook. In the practice we teach you how to do a lot of this for yourself. Our goal is to help you and your families become the best you, you can be and we look forwards to meeting you and your families when you come into the practice for your initial consultation. I’m originally from Sunny Brisbane, but ventured over to New Zealand to complete my Chiropractic training at the acclaimed New Zealand College of Chiropractic in Auckland. 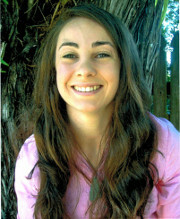 After graduating, I moved further south in NZ and started my career at a thriving, family oriented wellness practice in Hawkes Bay working alongside other SOT chiropractors. This was a great experience and I saw everyone from newborns to their grandparents. Chiropractic is all about making sure your body is functioning at its best. Through checking and adjusting the spine to restore appropriate movement, I enhance the connection between your brain and your body via the nervous system. I had my first chiropractic adjustment just 20 minutes after my birth as my father is a chiropractor. I’ve lived with the benefits of chiropractic all my life and I am therefore passionate about sharing these benefits with others of all ages. I am continually expanding my skill set in a wide range of Chiropractic areas because Chiropractic can help with a wide range of conditions. I am certified in SOT which is the primary technique that we use at the clinic. Over the years I have furthered my knowledge in pregnancy and paediatric chiropractic including tongue tie assessments. I have also done post-graduate seminars in neuro-emotional technique, kinesiology and allergy testing, extremity adjusting, and postural correction. I am also certified in Kinesio-Taping as it’s an invaluable tool when working with sports people. Being an active person involved in a wide range of sports growing up, and more recently in CrossFit, I have a keen focus on sports chiropractic as I am passionate about improving body function, peak performance and injury prevention. Whether you are an elite level athlete, a weekend warrior, or just trying to be better than yesterday, I love helping people reach their functional goals.